Transitioning a loved one to a nursing home presents emotional challenges for both the family and the person moving into this environment. This transition can also require physical adjustment for the new resident as he/she adapts to the living situation that unavoidably results in the loss of some autonomy. Many nursing home residents are forced to place a significant amount of reliance of their caretakers due to mental and/or physical impairments. One substantial danger of this dependence is the possibility for nursing home abuse and neglect. Nursing home staff has an obligation to protect each resident from sustaining injuries caused by a resident’s limitations, especially in light of the significant impact physical trauma can have on the health of the elderly. One particular type of injury that is a great cause for concern, but preventable if the proper safeguards are used, is facial injuries. A recent study published in the Journal of the American Medical Association examined the incidence of facial trauma injuries to nursing home residents nationally, and found that more needs to be done by nursing homes to eliminate, or at least reduce, these events. A discussion about the issues that can lead to facial injuries, and what is necessary to prove a nursing home neglected an injured resident as part of a personal injury lawsuit, will follow below. As people age, many tend to lose an important aspect of getting around – balance and coordination. The loss or reduction of this mechanism for maintaining equilibrium makes the elderly more prone to falls. Because bones become more brittle and the body’s capacity to heal diminishes with age, falls can lead to permanent debilitating injuries and death. For facial injuries in particular, transferring patients from one bed to another or to a chair and failing to properly supervise and/or provide walkers to residents are the situations most likely to lead to a facial injury. Facial injuries present a risk of damage to a person’s ability to breathe or speak, which have a direct effect on a person’s quality of life and functionality. Fall-related injuries are not inevitable and can be avoided if the proper care and attention is given to residents that struggle with ambulation. Nursing homes that ignore and disregard residents face potential legal liability for their carelessness. the injury was a direct result of the facility’s breach. 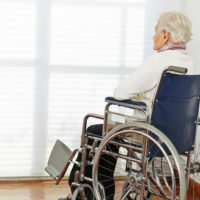 Nursing home abuse cases are emotional and personally devastating for families. If you or a loved one were injured by a nursing home, you need a personal injury attorney ready to aggressively pursue the compensation you deserve. The Miami law firm of Pita Weber Del Prado knows how to build strong cases against nursing homes, and is available to evaluate your case. Contact us for a free consultation.